Cross stitch with 2 strands of floss over 2 linen threads. The original model was stitched with 2 strands of hand dyed floss by Romys creation over 2 linen threads. 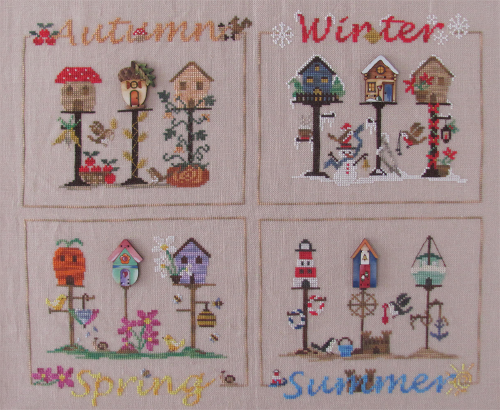 Each square represents the spece that you will use to stich each Bisrhouse seasonal design.